The Amazon is home to hundreds of ant species. All species are eusocialindividual ants all belong to a colony, and serve the colony, often in highly specialized roles, or castes. This is the key to ants' successthat they always work in groups. They belong to an exclusive group, the social insects, which also includes many species of bees, wasps and termites. 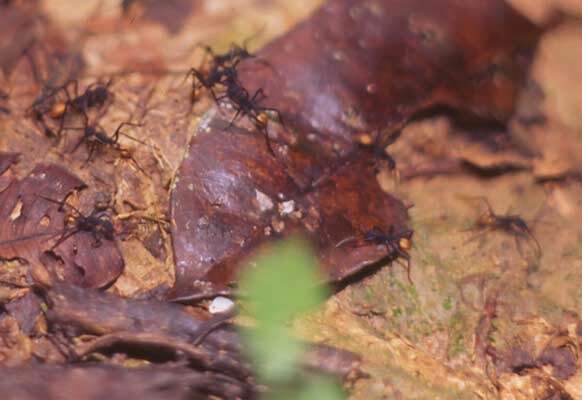 This group of ants was foraging on the forest floor, but no part of the forest, save open water, is not inhabited by one species of ant or another.